The Yankees, having won 87 games this year, defied most popular belief by securing a postseason spot despite playing poorly in the last two months of play. After leading their division for the better part of the season, the Yankees have limped into barely securing a playoff spot, going 28-28 in the final 2 months of the season and 1-6 in their final 7 games. Their bullpen appears tired and overworked, and their pitching staff is mediocre at best, with injury prone starters at the top of the rotation in Tanaka and Pineda. Most of their roster should have retired five years prior to this season. Still, the Yankees have a lineup of experienced veterans, and in the little league field that is Yankee Stadium, they may have just enough firepower to get to the eventual A.L. Cy young, Dallas Kuechel. Dallas Kuechel has had a DOMINANT season in 2015, boasting 20 wins and a 2.48 ERA. He has 216 strikeouts compared to just 51 walks, all the while being predominantly a groundball-inducing pitcher. It’s Kuechel’s arm that has solidified the young Astros rotation and allowed them to be in a position to knock off the Yankees in their own stadium. If Kuechel has any marks against him, it is that he is a much stronger pitcher when starting at home where he has an almost unfathomable record of 15-0 with a 1.46 ERA, compared to his road statistics of 5-8 with an ERA of 3.77. Kuechel, above, attempts to get Houston through to the divisional round. While this trend may draw a red flag to the Astros playoff stock, it’s important to note that Kuechel is 2-0 against the Yankees, allowing no runs in 16 innings of work, including a 7 inning shutout in Yankee Stadium earlier this summer. In addition to that crucial statistic, the Yankees’ lineup is heavy in lefty bats with Brett Gardner, Jacoby Ellsbury, Brian McCann, and Greg Bird, who are all critical to the Yanks’ chances of winning tomorrow night’s game. Lefties are hitting just .177 against Kuechel, compared to .227 for righties. So while nobody is hitting for a high average against the lefty Allstar, it becomes even more improbable to hit him when 4 of your major impact hitters have to face a tough lefty-lefty matchup. 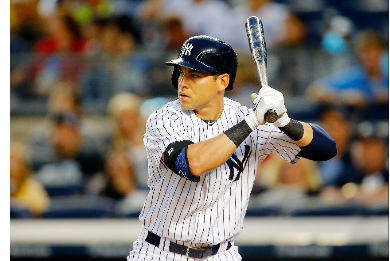 Jacoby Ellsbury, above, will look to defy the odds against the difficult lefty Kuechel. Offensively, the Astros are bringing back the “Home-Run or Bust” approach with 5 starters who have hit over 20 home runs, and 11 players with at least 10 home runs this season. Compare those stats to the number of Astros hitting above .300 this season, one, in Jose Altuve. 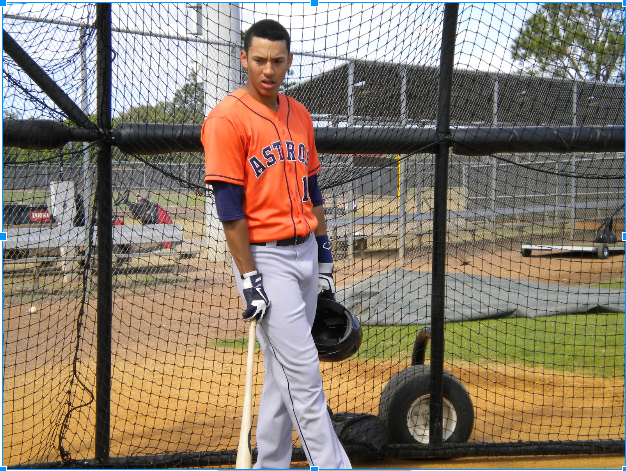 Their’ young talent is undeniable as the Astros boast the probable AL Rookie of The Year in Carlos Correa, former batting champ in Jose Altuve, and (as previously mentioned) a lineup in which every hitter can hit the ball to the moon. The Astros are a young, swing happy team, not afraid to take daddy hacks with two strikes from 1 to 9 in their lineup. It makes them dangerous; it makes them exciting; but it also makes them incredibly vulnerable against a pitcher like Masahiro Tanaka. Tanaka was one of the most highly touted players to ever come out of Japan after posting ridiculous number in the Japanese league. 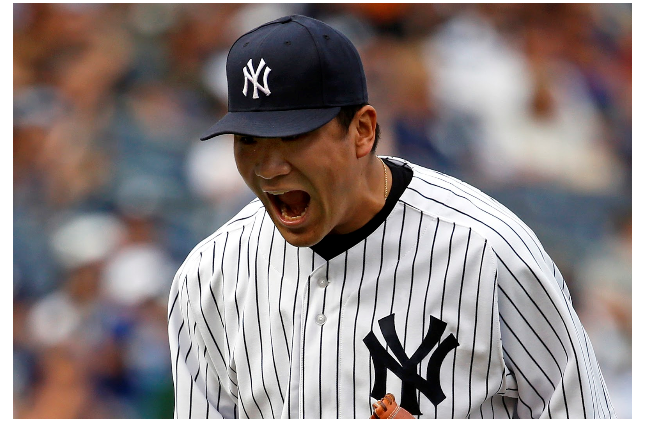 In two seasons in the majors, Tanaka has seen impressive success going 25-12 with an ERA of just over 3. He has been the strong front end starter the Yankees paid handsomely for, with the stuff of an Ace, but inconsistency has held him back from unmitigated praise. Injuries and blow up games have limited his success in his two years in the league, and while it is important to note that Tanaka is still just 26 years old, he has been pitching in high pressure situations far longer than his age would suggest. Injuries to his arm and hamstring have sidelined Tanaka for parts of the season and have caused the righty to use more finesse this year to get outs. The righty was barely hitting 90 mph early on in the year, causing an uproar of concern over his ability to perform consistently. His success ultimately, until his arm strength returned, was based on his ability to pitch and not just throw, to deceive and spot pitches and give his high-powered offense a chance to win games. Going up against the AL’s best pitcher, Tanaka must shut down the Astros for the Yankees to have a chance of advancing. 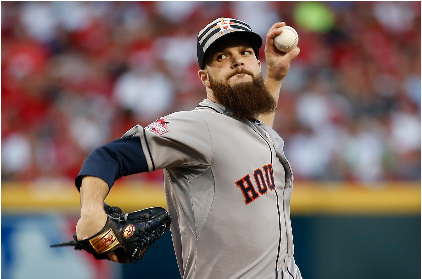 This development in his pitching makes him an ideal candidate against a young swing-happy Astros lineup that will be staring down a small Yankees stadium, each player looking for the big hit that will propel Houston into the American League Division series against the Royals. A heavy dose of split-changeups and sliders, mixed with the experience and tenacity gained from playing in the Japanese World Series leads me to believe that Tanaka will DOMINATE this Astros offense. I expect to see Tanaka throw 7 scoreless innings in front of thousands of screaming bandwagon Yankees fans until Betances and Miller shut the door on this improbable Astros season. Sorry everyone, but sometimes the bad guy wins. Offensively, you have to believe that one of Beltran, McCann, A-Rod, or Ellsbury will come through with a big home run at some point in the game, and that the Yanks pull this one out. I say 4-1 Yankees, and 10+ K’s for Tanaka. P.S. Editors note: This was written before CC came out and said he was checking himself into rehab. Time to double down on the bet. Yanks win 7-1, Greg Bird hits a big HR to put the game out of reach. If you don’t know who he is, you will in two years. What does Sabathia’s absence have to do with a game he’s not pitching in? Are you saying the Crankees are going to win one for the gipper?